There’s no denying the power of the crowd when it comes to creative projects. At crowdSPRING, a community of over 190,000 creatives collaborates with businesses around the world to help them stand out with quality designs and copywriting on a daily basis. But can the crowd contribute to professional development? Often, the “right people” Chan mentions are spread across the globe, so the only way to build a crowd focused on maximizing the potential of all its members is through online communities. Traditionally, these communities were forums and social media groups, but recently community builders have turned to the real-time chat tool Slack as their platform of choice. 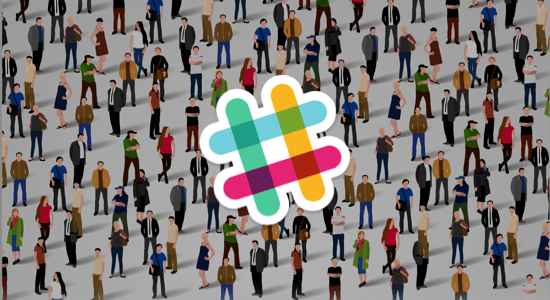 Slack has become an invaluable tool to many businesses since its launch in 2013. Last year, the messaging and collaboration app surpassed the milestone of 1,000,000 active daily users and it hasn’t shown any sign of slowing down. The benefit of building an online community on Slack over traditional forums and social media groups is straightforward: it’s quick, simple, and a lot of people use it. Slack’s real-time messaging and notifications make active communities a hub of instant feedback, advice, and networking opportunities while the app’s widespread use in top agencies and companies makes it easy for users to join a new community and contribute immediately. #smallbiz: Connect with other small business owners to share learnings and advice. #Launch: #Launch is a place to collaborate, discuss new products, find work, get feedback, or even find a co-founder. amateurprenuer: A community on Slack for beginner entrepreneurs. Discuss, share, get help and acquire feedback. Dear Designers: Dear Designers helps you figure out your next steps in becoming a better designer from folks a few steps ahead of you. Spec: Talk design and development with the Spec community of over 5,000 designers. #CreativeTribes: Join startup entrepreneurs, strategists, marketers, developers, designers, writers and other creatives to share and discuss tribe-building strategies. CROTricks: Discuss conversion rate optimization with the CROTricks community of experts. After joining a Slack community, read the rules and introduce yourself. Check out all the channels and read their descriptions to find the most relevant ones to watch. It is just as important to contribute as it is to benefit from the group so try to be an active member of the community by offering a helping hand any time your expertise allows and joining in on relevant discussions. If you have found the right community, you will quickly find like-minded individuals eager to help you succeed. Are you currently a member of a Slack community that has helped your professional development? Let us know about it in the comments!